A 40-year-old Polish man was fatally stabbed last night. GARDAÍ INVESTIGATING A fatal stabbing which occurred in Co Cavan last night have made a further appeal for information from the public. A 40-year-old Polish man was rushed to Cavan General Hospital with serious stab wounds, and was pronounced dead this morning. The incident took place on Dublin Road in Ballyjamesduff at around 11pm last night. No arrests have been made. Gardaí are looking for anyone who was driving on the Dublin Road between 10.30pm and midnight last night and who may have had a dash cam in operation. Gardaí are also asking the Polish community or any member of the public who may have information to come forward. It’s understood that contact with his family in Poland has been made and a family liaison officer has been appointed. The post-mortem on the man has now concluded but for operational reasons the results are not being disclosed at this stage, according to authorities. Anyone with information about the incident should contact Bailieboro Garda Station on 042-9694570 or call the Garda Confidential Telephone Line on 1800 666 111. 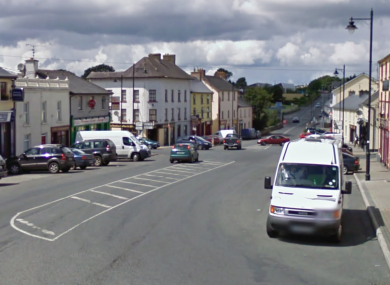 Email “Gardaí appeal to drivers who may have dash cam footage of fatal stabbing in Cavan”. Feedback on “Gardaí appeal to drivers who may have dash cam footage of fatal stabbing in Cavan”.